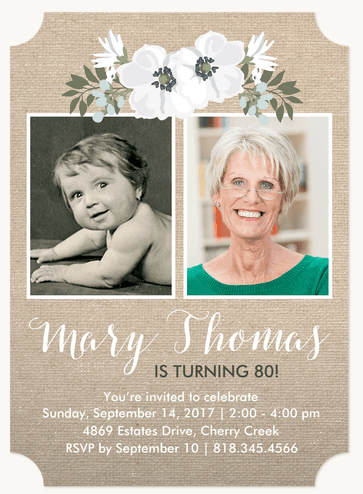 Feeling a bit stressed about choosing the perfect 80th birthday invitations? 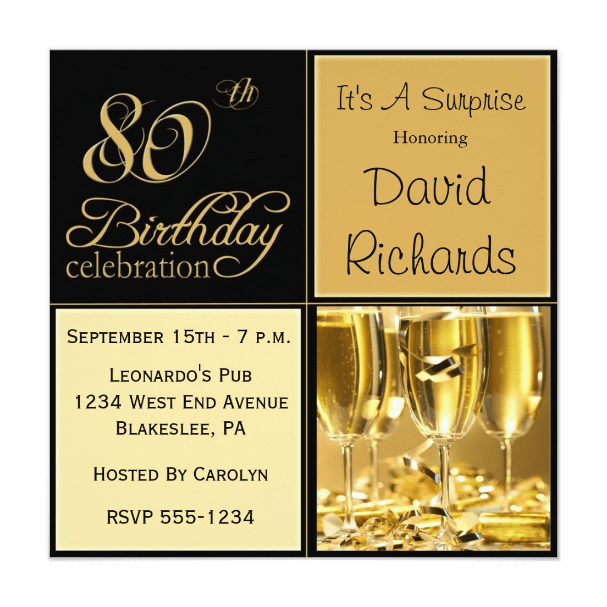 Your party invitations should set the tone for your event as well as get your guests super-excited about the celebration. This article will help you quickly find the best invites, and also offers helpful etiquette tips and invitation wording samples. 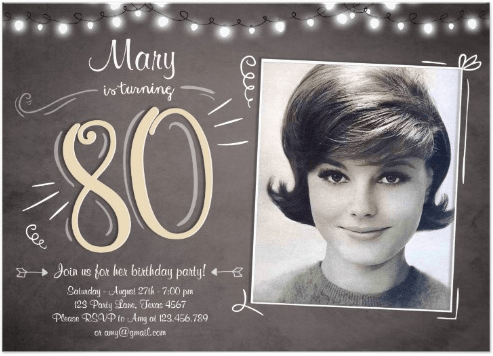 If you're planning an 80th birthday party for Mom, Grandma or another special lady, consider getting invites that feature more feminine touches. Depending upon her tastes, your party might feature pastels, pinks, florals, glitter and other more girly decorations. To make party planning super-easy, look for invitations that feature matching party decorations and supplies. You can go ahead and order your invitations and your party decorations at the same time, so you'll know that everything matches. And as a bonus - you'll probably save on shipping! When choosing invitations for men, look for more masculine, darker colors. 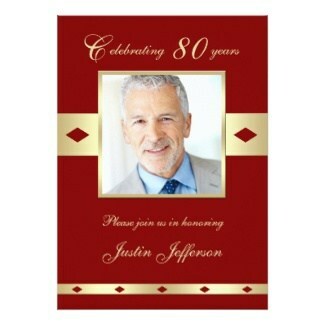 You could also consider incorporating one of his hobbies into the invitations. Some of the more popular themes include beer, cocktails, cars and sports. 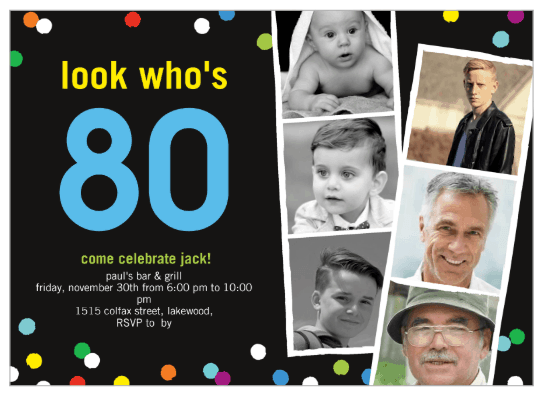 For milestone birthdays, it’s fun to use photo invitations. Try to use a cute picture of the birthday celebrant as a child – it’s so much fun for everyone to see how much he or she has changed over the years! You could also choose photo invitations that allow you to use multiple photos. 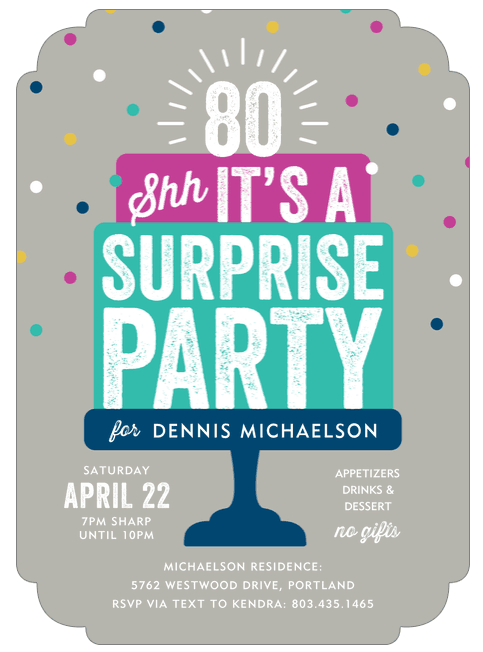 How fun to plan a surprise party! 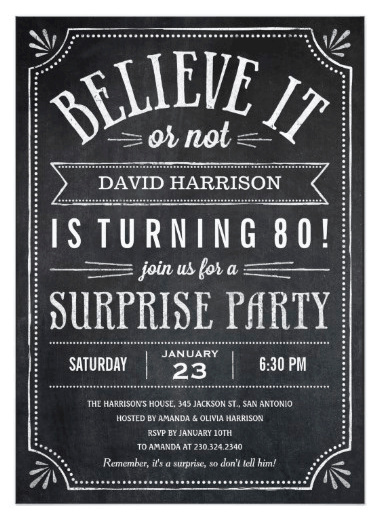 Make sure your invitations let your guests know that the celebration is meant to be a surprise. 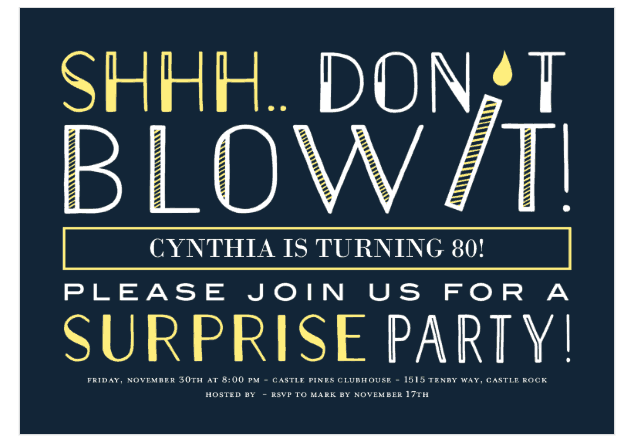 Look for cards that feature "Surprise Party" in big bold letters so no one misses the point. Templates to Download for Free! 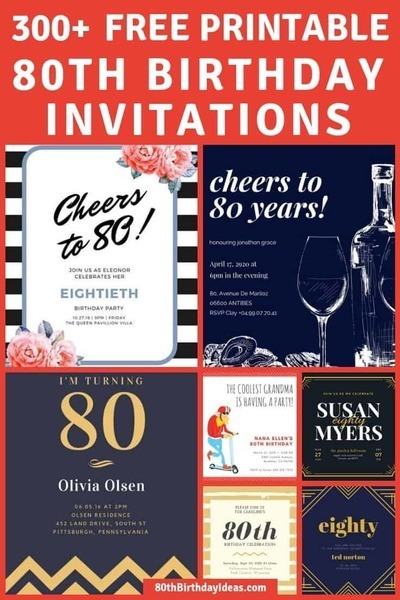 There may not be such a thing as a free lunch, but there are free 80th birthday invitation printables! 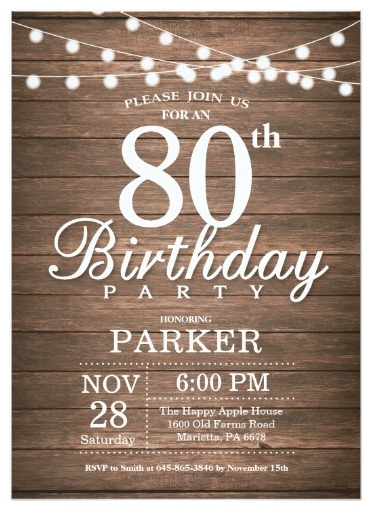 Canva.com offers over 300 free invitation templates, such as the ones pictured above. You can easily edit the templates in your browser (no software to download!). You will need to sign up for a free account, but they're really good about not emailing loads. And as a bonus, you can easily create other printables to use at your party. 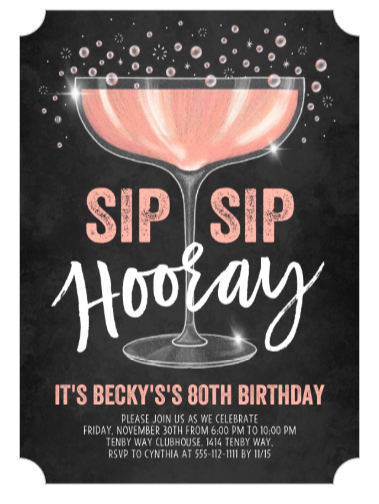 Tip: Once you've designed your invitations, you might want to use the graphics to create other printables such as cupcake toppers, welcome signs or other printables for your party! It's a great way to save money. The designs are usually free. However, some of them feature elements that will cost you $1 (for example, both of the top invitations I show above cost $1). Once you've finished your design, you can download the template and either print it at home or take it to your local Walmart or office supply store for printing. They also offer an option to print the invites for you (I've never actually used this). Don't worry if you're not a graphic designer! Canva is incredibly easy to use - watch this quick video if you need any help. 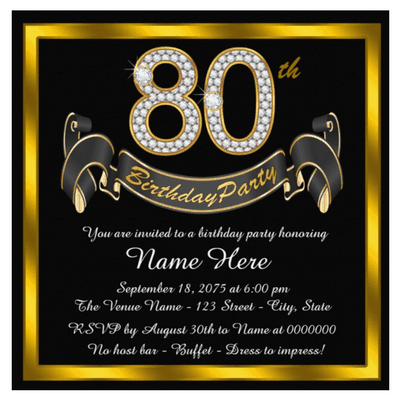 If you want to use certain colors for your party, try to find invitations that reflect those colors. 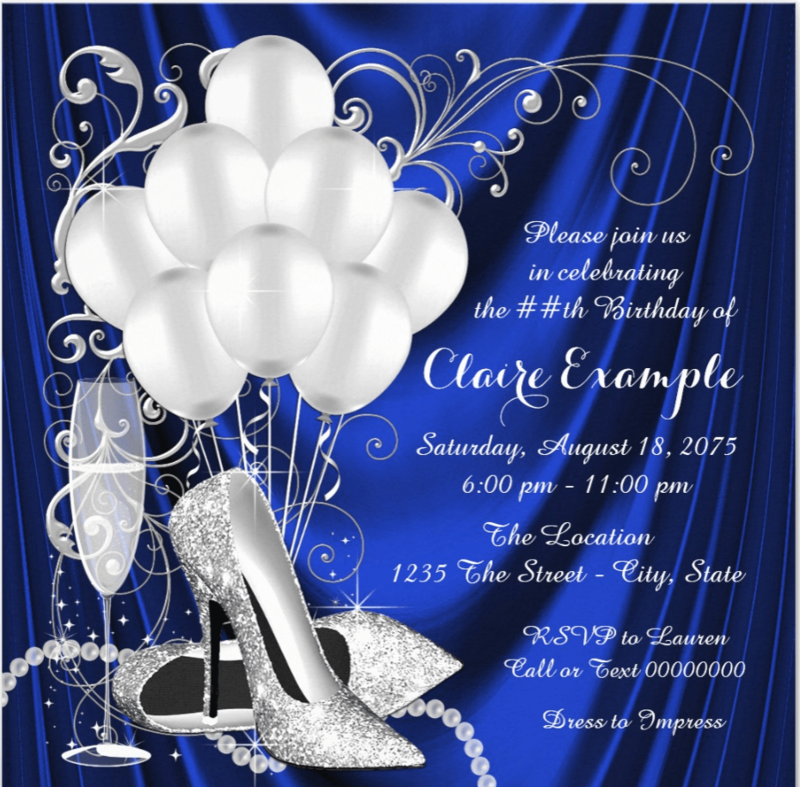 If you're hosting a formal party, choose elegant invitations. 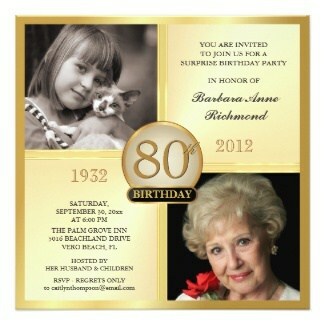 If you’re planning a themed party such as a tea party, luau, or BBQ, look for invitations that reflect that theme. 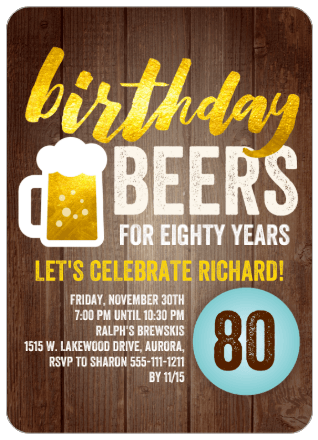 You can usually add the information that’s it an 80th birthday party. 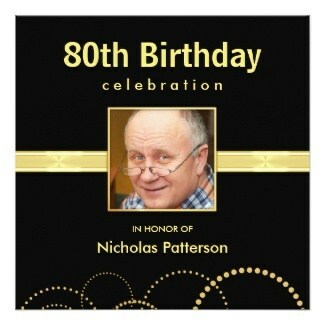 Order your invitations as soon as you’ve decided on when and where the party will be. Although you can get invitations sent to you in 2-4 days, you’ll usually pay a pretty heft expedited service fee. 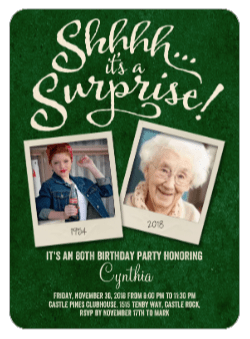 Most sites take around 10 business days to print and have the invitations delivered to you (check each website for details as the shipping times vary). You’ll then need to plan time to address the invitations and mail them. Allow at least one week for your recipients to receive the invitation after you’ve mailed them. 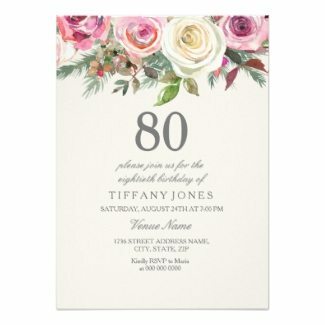 For a formal party or a large bash, it’s recommended that you send invitations out at least 8 weeks in advance. For a more casual get-together, 2-3 weeks is enough time. 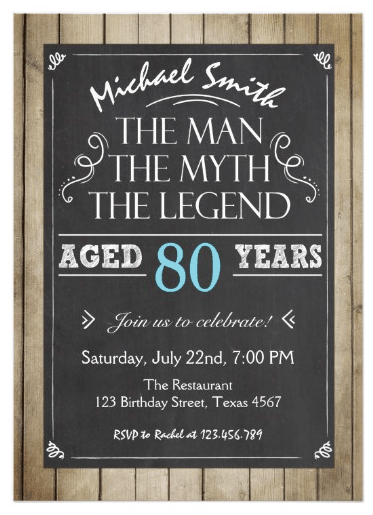 Many times for an 80th birthday party, out-of-town family and friends will want to attend. 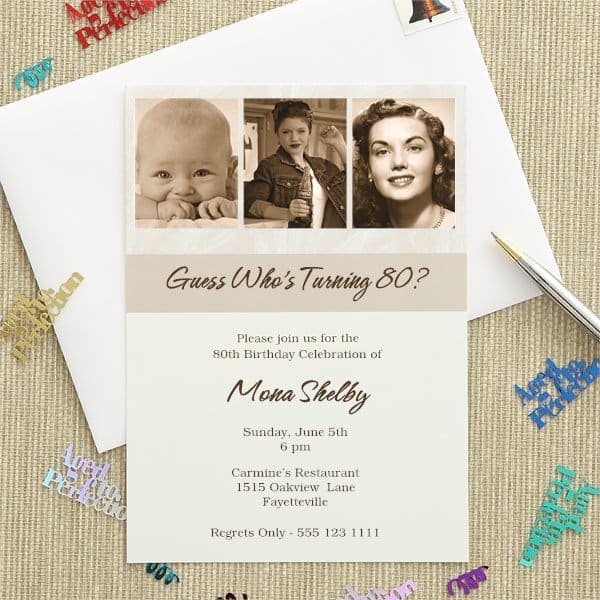 To allow them time to book flights and hotel reservations, you could either send the invitations earlier, send a save-the-date card, or simply call them or email them as early as possible. 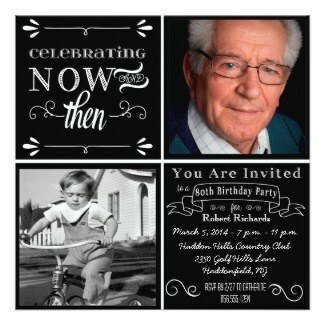 All party invitations should include the reason for the celebration, the date and time, and address of the party. 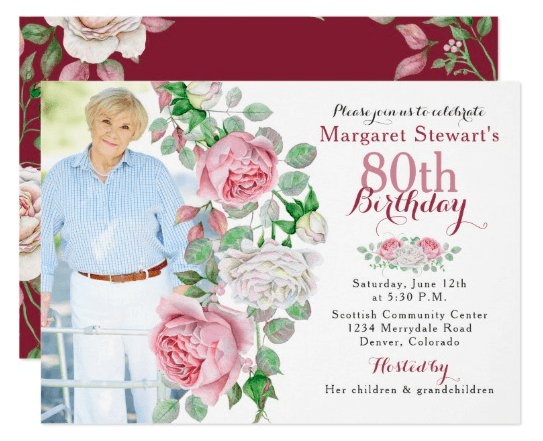 If needed, be sure to include RSVP information, as well as the date the guests should respond by. You can always specify “Regrets Only” if you only need to know if the invitees are not coming. 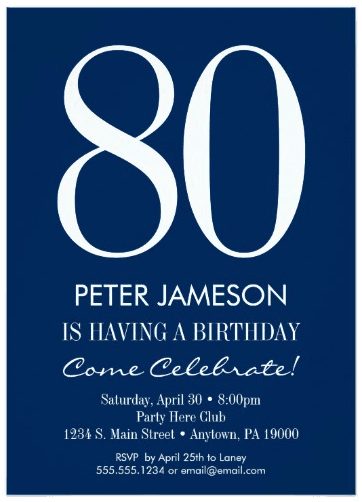 Be sure to mention any attire information – you could always add it in small letters at the bottom of the invitation. In times past, it was considered quite rude to mention gifts on any type of invitation. 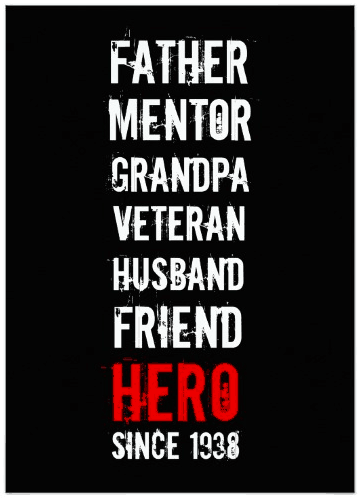 However, it’s now considered acceptable to indicate that the honoree would prefer to not be given presents. “May your good wishes be your only gift to (celebrant’s name)”. If you’re worried about mentioning gifts on the invitation, you can always spread the word via phone call. 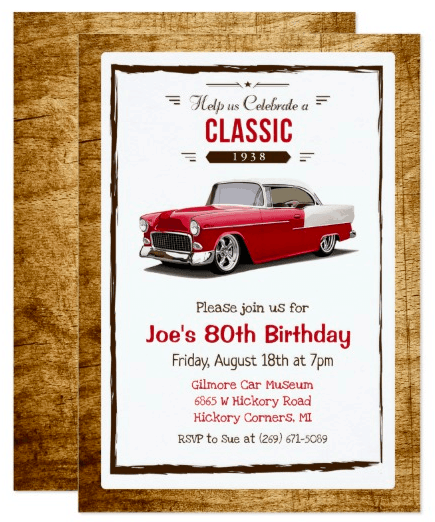 For a formal event, the tone of the evening should be set by using elegant invitations. Dates, numbers and times are usually spelled out. For clarity, the party date and year should be on separate lines. 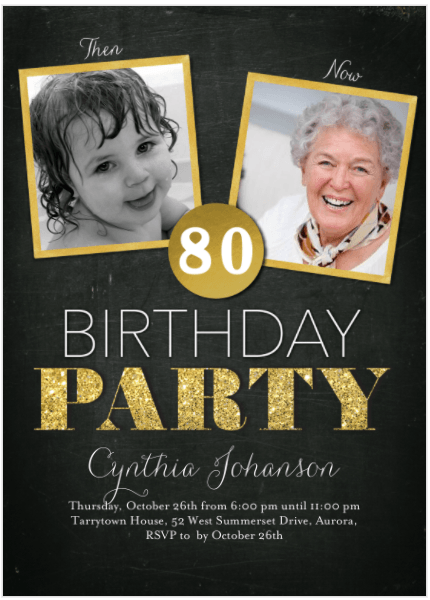 Cynthia Johanson is turning 80! Please join us for a delightful evening with friends. Be sure that you spell out very clearly that the party is a surprise. If you room on the card, you might want to specify the time the guests should arrive as well as the time the honoree will arrive. That way, if the guest is running late, he or she can plan to arrive AFTER the honoree and not spoil the secret. 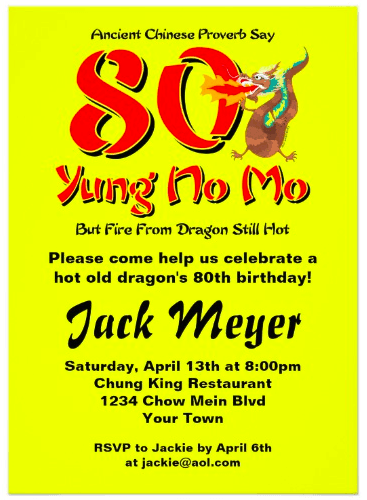 For a party in his honor! Friendships are one of the few things that improve with age! on July 15th at 6:30 p.m.